Below is a brief historical outline from RK Peacock, Evolution of Australian Light Horse Regiments 1841-1935, Unpublished MSS, c.1936, p. 11. 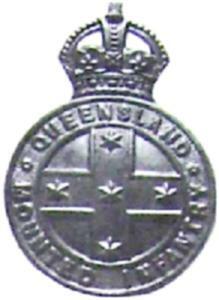 When the mounted troops were organized as battalions in 1900 the Darling Downs Mounted Infantry became the 2nd Battalion Queensland Mounted Infantry with six companies, "A" Warwick; "B" Toowoomba; "C" Clifton; "D" Dalby; "E" Roma and "F" Stanthorpe. Then came the Federal reorganization of 1903 men these six companies were formed into the 14th Australian Light Horse Regiment Queensland Mounted Infantry. As such they continued until 1912 when the 14th became the 3rd (Darling Downs) Light Horse only to be again changed in 1913 to the 3rd (Darling Downs) Light Horse. 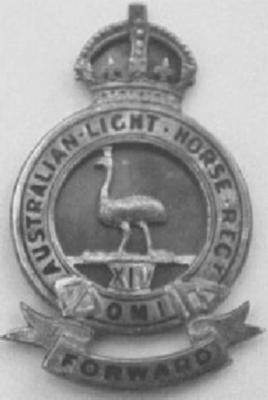 From 1913 to 1927 the regiment carried on as the 3rd but in the latter year it was transformed into the 11th Light Horse Regiment (Darling Downs Light Horse, Queensland Mounted Infantry). Below is a list of men who were former members of the 3rd (Darling Downs) Light Horse who later served with the AIF during the Great War. The details listed are those of the AIF enlistment containing the rank, full name and unit in which he enlisted. Lieutenant Colonel HV King, 1 November 1899. Captain H Bailey, 26 November 1898. Captain LE Evans, 4 May 1899. Lieutenant A Clowes, 2 December 1899. Lieutenant T Flemming, 12 December 1899. Captain SW Barlow, 20 November 1897. Lieutenant FWG Annand, 28 May 1897. Lieutenant RH Munro, 28 July 1900. Lieutenant TC Davies, 3 May 1899. Lieutenant JM Hanly, 12 July 1899. Lieutenant AT Jackson, 16 February 1900. Lieutenant JWH Grout, 3 May 1899. Lieutenant W Grant, 1 February 1901. Lieutenant CS King, 1 February 1901. Lieutenant AJW Walsh, 1 February 1901. Lieutenant CF White, 1 February 1901. Lieutenant CS Cobb, 1 February 1901. Lieutenant RB Lawson, 1 February 1901.